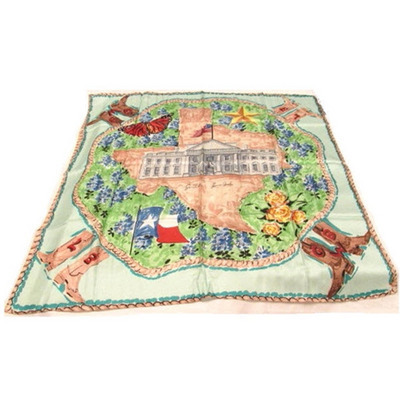 Ranch scarf designed by Carleton Varney for President and Mrs. George W. Bush. 100% silk. Measures 36 long, 35 wide. Imported.